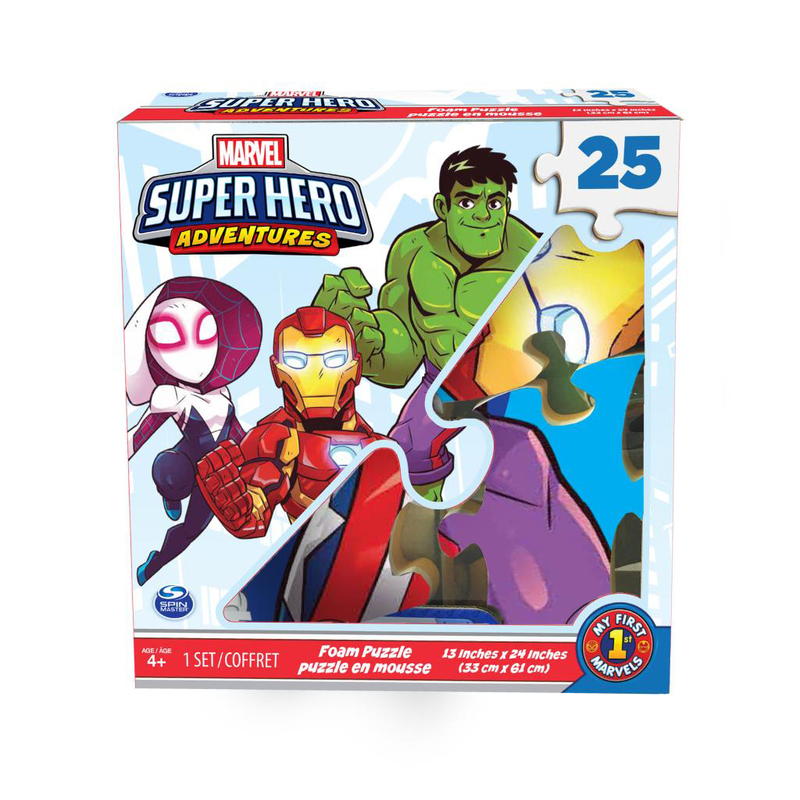 Fans of Marvel's Superhero Adventures will love putting this 25-piece foam jigsaw puzzle together. Featuring favorite Marvel characters from when they were young, and constructed of soft foam, this puzzle is a perfect gift for the little Marvel Superheroes fan in your life. Measures 13" x 24 " when complete.